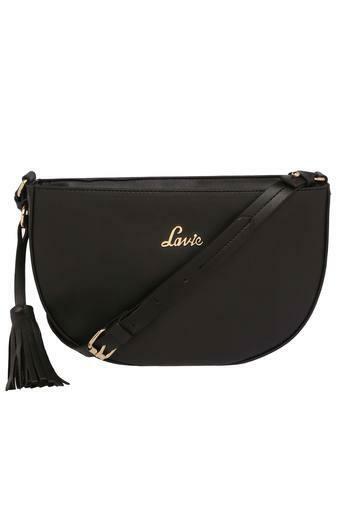 Make a fine addition to your accessory collection with this sling bag from the house of Lavie. It features a spacious compartment along with a zip closure that makes it a great pick to carry your belongings safely. 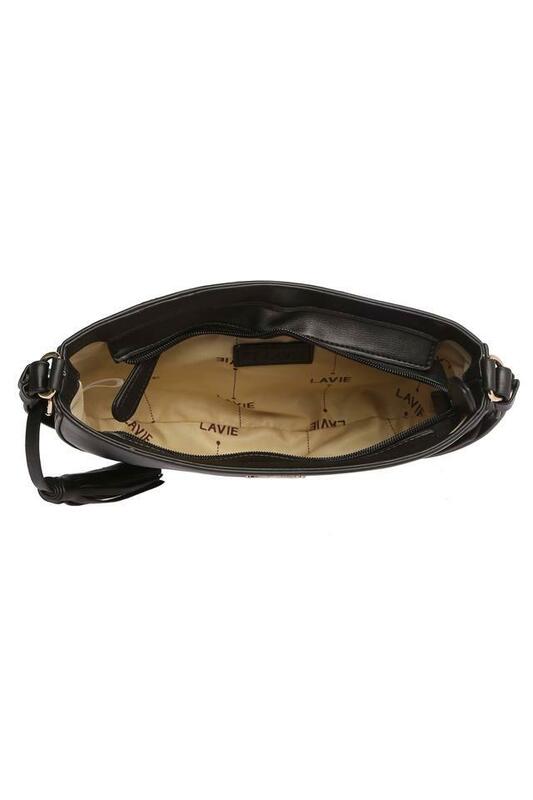 Moreover, it has been crafted from fine quality synthetic leather that lends it a good finish. 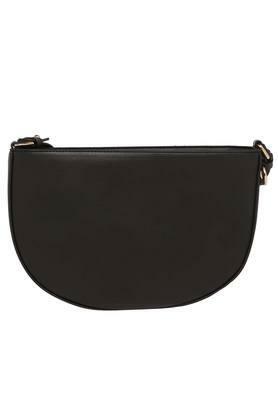 Fetch compliments for your choice by carrying this sling bag. With a stylish tassel detailing, it can be teamed with different casual outfits for a complete look.